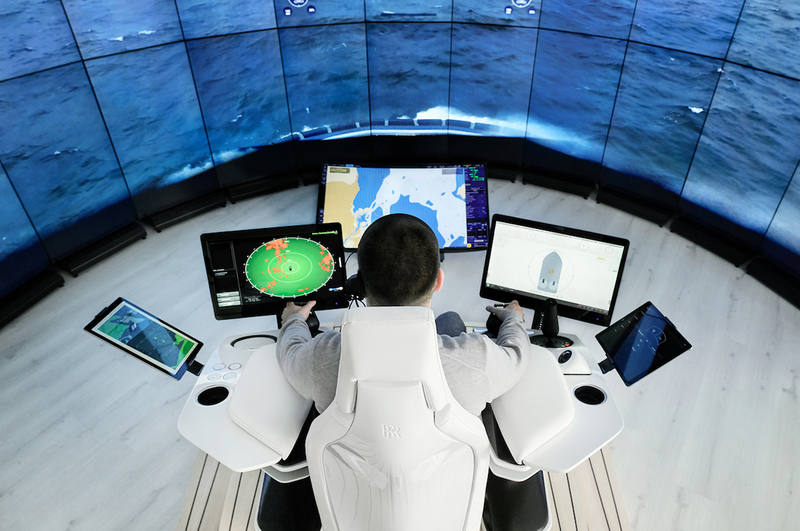 The Rolls Royce together with world's biggest tug operator Svitzer A/S launched the first ever comercial remotely operated vessel on June 20, 2017 in Copengagen. From the quay side in Copenhagen harbour the vessel’s captain, stationed at the vessel’s remote base at Svitzer headquarters, berthed the vessel alongside the quay, undocked, turned 3600, and piloted it to the Svitzer HQ, before docking again. The companies have also signed an agreement to continue their cooperation to test remote and autonomous operations for vessels. The primary systems involved will be autonomous navigation, situational awareness, remote control centre and communication. The Svitzer Hermod, a Robert Allan ship design, was built in Turkey at the Sanmar yard in 2016. It is equipped with a Rolls-Royce Dynamic Positioning System, which is the key link to the remote controlled system. The vessel is also equipped with a pair of MTU 16V4000 M63 diesel engines from Rolls-Royce, each rated 2000 kW at 1800 rpm.